 Welcome to another installment of Tour Collierville’s 2-Minute Tuesday! This week, Hannah sits down with Steve Bradshaw, author of the new book Terminal Breach to talk writing, forensics, fiction, and the Square! Hannah: Hi I’m Hannah with Tour Collierville’s 2-Minute Tuesdays. I’ve got Steve Bradshaw here with me this evening. Thanks so much for coming. Steve: Thank you. Glad to be here. H: Okay, so Steve is… You’re an author, and you live in Collierville, so we kind of wanted to talk about that. From what we know you’re Collierville’s number one author. H: So Steve I wanted to ask you a little bit about what brought you to Collierville. I know your past is a little bit interesting, which kind of led you into more of what gave you your meat and potatoes for your books, I guess. H: Wow okay. So, in 1986, you said before that you were starting a family in Dallas. So you brought all the kids with you, so they went through Collierville, both schools? Or they came out and went to where? S: Well, actually we had three kids, and we had one in Dallas, one in Houston, and one in Memphis. S: And so our third—our son—was born in Memphis. And they all actually went to the Houston school system. We were right there off of Houston Downs and that Frank Road off of… What’s the name of that street? You know the golf course? Houston Levee? S: And so we… In that particular area, we went to Houston schools. So my daughter, my oldest daughter, went her first year was the last year. Every year was her first year in the high school because it went one year and then they added to the next year, then the next year, til they had four years, and then she graduated. Then my other daughter went through the process, too. They were cheerleaders and went down to Ole Miss after that to be Rebellettes. H: That’s a popular school. S: My son went to Memphis University. H: So, you started writing after you did the whole business corporation, everything else, and all that. So with your forensics background, tell us a little bit kind of… So I know that Bluff City Butcher was the first one you ever wrote, and that was the trilogy. Now, this Bluff City: that’s got to be Memphis? H: So it’s mostly… It’s based in Memphis, so can you tell us a little bit about that? S: Yeah, the first book I wrote was—is—Bluff City Butcher, which is the first book in a trilogy, the Bell Trilogy, and it’s about a serial killer in the Memphis area. He’s an unstoppable serial killer, and they bring in the world-renowned forensic investigator, who is the protagonist of many of my books, Dr. Elliot Sumner, who was a gifted investigator. So you have a genius psychopath being hunted by a genius forensic guy. They are hunting and chasing each other across Memphis, and there’s a lot of areas that people recognize where there’s homicides occurring and so forth. S: But when they finally the their paths cross on Mud Island, they realize that they’re connected, and they carry a secret that people will kill for. And that launches the trilogy. And all I can tell you is everything you think you know is not what really happens until you get into this trilogy and see how it evolves into a family with a secret that becomes a global nightmare. And that’s the trilogy that I wrote after I got through the businesses and so forth and I wanted to write. And that’s what got it all started. So now I’m six books later, yeah. H: I think what this would too you mentioned, too, this actually kind of touches in Collierville a little bit for this one. S: Yes it does. One of the cases occurs in Collierville, and people recognize the area, the street, the neighborhood… The Collierville PD shows up at the scene and everything else. But we love Collierville. I mean, we’ve been here for, like I said, since 1986. H: So, these are obviously forensic mystery thrillers—a little on the edge, a little a little bit more grown-up—more so than some of this stuff you got to explain to me. S: They’re sometimes a little frightening, but I have gotten more experienced as a writer. I’ve softened that a little bit because I have some people going, “It scares me too much. I can’t read it!” (laughs) Okay I’m going to soften this a little bit for you, you know. Because I saw a life unedited. I worked 3,000 cases in Dallas, and every one of them began as a homicide. S: And it was me and a body, and I had to determine what happened. And so my writing is more about what I’m thinking when I’m working that case than what I’m actually seeing. Because you start thinking, “Well what if this serial killer did this, and they’re trying to fool me?” And then you conjure up all of this stuff, and that got stored away somewhere, and that’s coming out in my books now. H: So here we are six books later, Terminal Breach; that just went… That actually just got released this week the 28th. S: August 28th, yep. National release. H: So this one, you said, too, you brought a character back? S: Yes I did! Dr. Sumner, after the trilogy, went on rehab because he had some issues. And I don’t want to give too much away, except that in Terminal Breach, someone commandeers a missile silo and the President of the United States has to find out who was in that silo before he makes the containment decision, which is a nuclear strike on North Dakota. And so he needs the top forensic guy to look at a blood trail leading to the silo to see if they can’t identify who’s there, then create options. So that’s the race of the clock and the minor little issues that we’re worried about, you know. It brings in the President and in all his teams and all the things at work behind the scenes when there’s a catastrophic thing developing. And you don’t want the news to hear about it because it could launch a world war. H: That’s so exciting, though. S: That’s a fun book. That was really a fun book to write. H: Yeah. Well so, you’ve got your kids, your wife, and everything else, too. As before, you said y’all have actually done a little bit in Collierville. Your wife, even, she was on the Square before. S: Suzanne is my wife, and we were high school sweethearts and all of that. We got married; I was kidnapped. (laughs) And we, five years later, had our first child. Anyway, we came here, and she is into shabby chic and all that, and she opened up a store here called Not Too Shabby in 2004 on the Square and did it for about four or five years. And she had fun with it, and now she’s kind of enjoying at Sheffield’s. She has a booth, and it’s less work for her, you know, than running a store, which is a lot of work, as I would imagine. S: So we’re Collervillieans. I always go, “Cahlyaville,” you know. They always made fun of me because I say it that way. But we love it here. We love it. One day… We just stood a zero-lot line, just built a zero-lot line house. And one day, we wouldn’t mind living somewhere up near the Square because we are the Square. H: That’s a coveted spot, I know, for sure. S: It’s just beautiful. And they’re building nice houses over so we’re keeping an eye open. H: Okay, Steve, I just I really appreciate you coming out and just talking to us about your books and your life and just how you kind of got here. S: Thank you very much. If people want, they can go to my website SteveBradshawBooks.com, where this is being promoted, and they can read the first two chapters—you know, excerpts—right now. And if they want to do a review for me, okay, there is a period of time where they can click on this thing, and it comes to me, and they will get a number from me—a code from us—and they can put that code in and get a free e-book of Terminal Breach. H: So Steve thank you so much for coming. It’s been a pleasure just getting to talk to you and learn about these. And thank you again for our signed book copies of these as well. H: This has been 2-Minute Tuesdays with Tour Collierville and Steve Bradshaw. S: Thanks for having me.